Science can now cool an object by shooting it with radiation. Researchers may solve one of the biggest practical problems facing quantum computers: cooling. If it can make real-world quantum computers more achievable and affordable, this could be a breakthrough that indirectly lets humanity solve many of its most pressing problems. A team from Aalto University led by physicist Mikko Möttönen has dubbed their idea the “refrigerator” for quantum computers, but it really has more in common with a microwave, just in reverse. The counter-intuitive idea at the heart of this study is that you can cool something down with radiation. Basically, this team used its new quantum mega-microwave to bombard superconducting devices (their stand-in for the qubits of a quantum computer) with electrons carrying just slightly too little energy to “tunnel” (quantum phase-shift) through a nanoscale-thickness insulator the team put right beside their qubits. When the electrons happen to interact with the qubit stand-in, they’ll naturally have a range of interactions with it, including naturally stealing some energy. Because of the experimental set-up, however, when the energy-leaching interaction occurs, the electron immediately tunnels through the insulator and, having lost a bit of energy on the hop over the fence, is now trapped on the other side with too little energy to get back. Eventually, this slow theft of energy cools the sample. For reference, D-Wave Systems cools its quantum devices with liquid helium, a crushingly expensive substance that is associated with all sorts of difficulties of its own. The “dilution refrigerators” they use are complex and expensive, and like all cryogenic liquid systems, tend to break down. With an ability to efficiently cool quantum computers, not only could engineers get existing chips on sale for less than tens of millions of dollars, they could potentially work more qubits into each processor. One of the big problems with up-scaling existing quantum processors to include more qubits is the excess heat this tight packing creates, which in turn breaks the delicate superposition of the system. 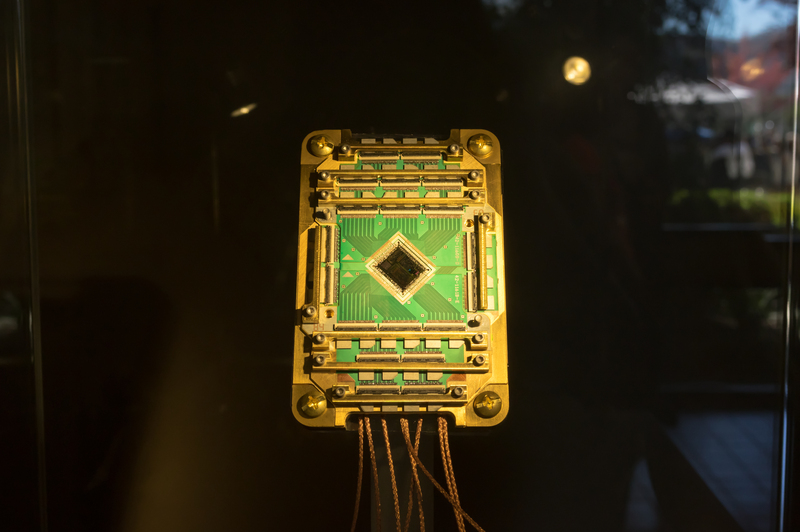 The ability to incorporate more qubits is essential to being able to realize the incredible potential of quantum computers. Right now, time on IBM Q is available only to developers — because those are the only people who would find a use for it. With so few computing bits, IBM’s quantum computer is just a proof of concept that’s useful for slowly testing quantum code. This is the sort of practical upgrade that could change that status quo, bringing wonderful breakthroughs like quantum analysis of diseases models and high-temperature superconductors, and worrying ones like quantum cryptographic code-breaking. Breakthroughs like this mean the world needs to think hard about the possible impacts of quantum abilities that are far closer to reality than most people realize.